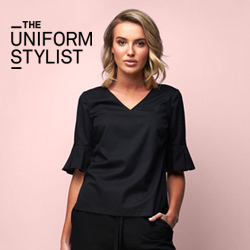 At The Uniform Stylist we’re passionate about what our clothing is made from, as much as who makes our clothes, and the needs of those who wear them. Our launch range is made from sustainably grown bamboo and polyester so that we can provide a premium product at an affordable price. Pieces that will stand the test of time, and maintain their style while providing maximum comfort for the wearer. All products are eco-friendly with the luxurious feel of silk but without the matching price tag. They’re all easy care which means quick to dry after washing and require very little ironing. They’ll keep you warm in winter, and cool in summer – so perfect all year around! One of the key pieces in the launch range is the FOXY pleat sleeve top. This is our modern take on the V neck tunic! The pleats on the sleeves are permanent – so they won’t need an iron! Read on for more of FOXY’s amazing super powers, created to offer you a premium uniform solution. Sleeves finish above the elbow so that your arms will be free for treatments and massages, and won’t get in the way of your guests. A perfect uniform option for modern therapists who want to make better choices about what their clothing is made from, but appreciate a little luxury too! Volume packages available online. 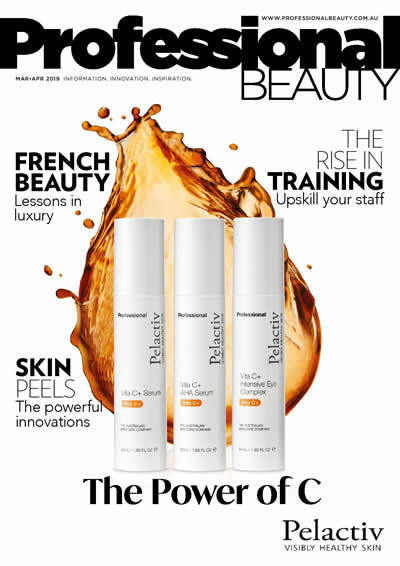 For other co-ordinates in the same collection, please check out the Embassie beauty collection by The Uniform Stylist.